1. What Is Debian, Anyway? Debian is a computer operating system. More precisely, Debian is a free, very popular GNU/Linux operating system that is universal and rich of software packages; comparable in contrast to nonfree operating systems like Microsoft Windows and Apple macOS. For most Ubuntu users, Debian is a respected operating system, as Ubuntu is developed from Debian source code. For clarity, in this article I call it 'Debian original' to distinguish it from 'Debian Live'. Debian Live is an official variant of Debian original, it is a group of LiveCD+installable operating systems with built-in desktop environments. 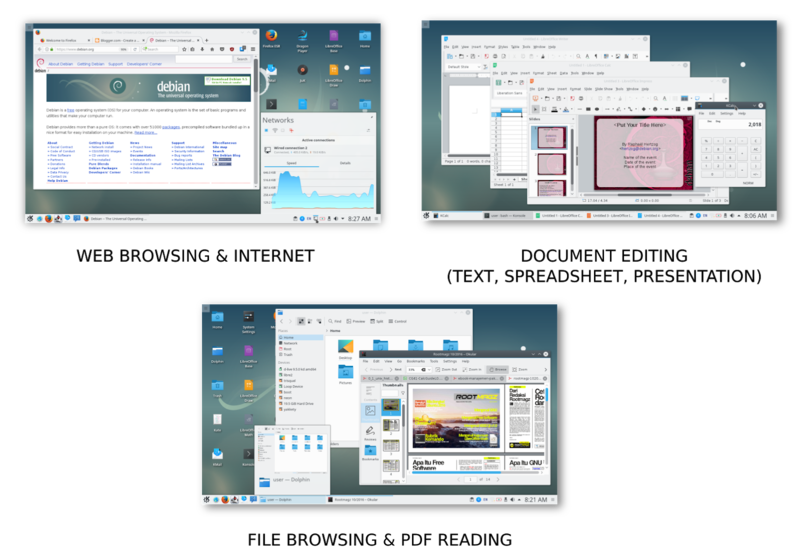 It's available in KDE, GNOME, XFCE, LXDE, Cinnamon, and MATE desktop environments, you can choose one you love. The rest of this article will talk about Debian Live KDE. A LiveCD is an operating system which is able to fully run without making changes to your computer. You don't need to install it to test it or take advantages of it. 3. What You Can Do With Debian? Everything you can do with computer. Seriously. 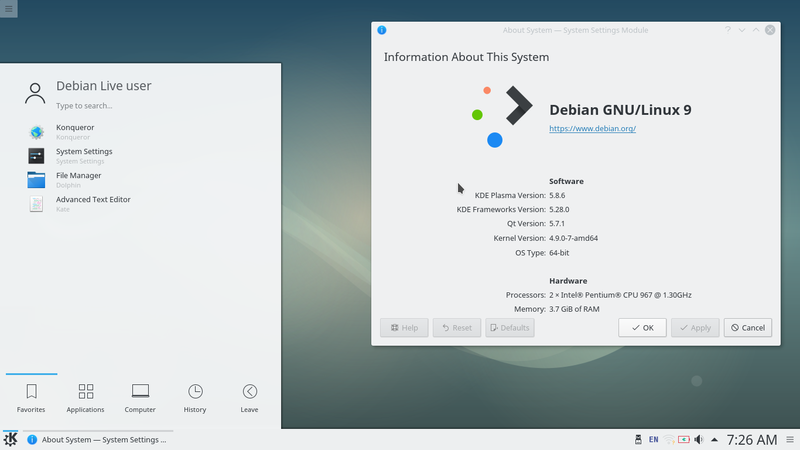 Debian Live KDE Edition (or simply Debian KDE) is an official variant of Debian with KDE Plasma Desktop as its user interface and with LiveCD ability of its ISO image installer. You can think Debian KDE is similar to Kubuntu. However, this article uses Debian KDE version 9.5.0 "Stretch". 5. 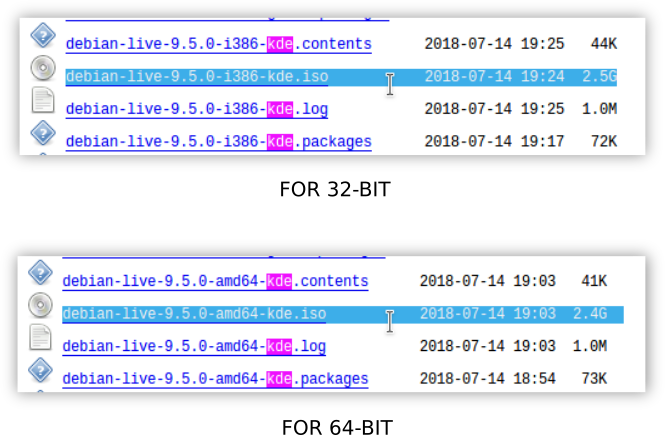 What's the Difference between 'Debian Live' and 'Debian'? In short, the LiveCD ability. Debian original is only available as installer and the ISO image cannot perform LiveCD session. Debian Live is a LiveCD+installer system, similar to what you find in Ubuntu. And, Debian Live --as mentioned above-- is available in many desktop environment choices. Thus Debian Live is easier for most users. Other important difference is, Debian original requires you to manually install the desktop environment while Debian Live does not. 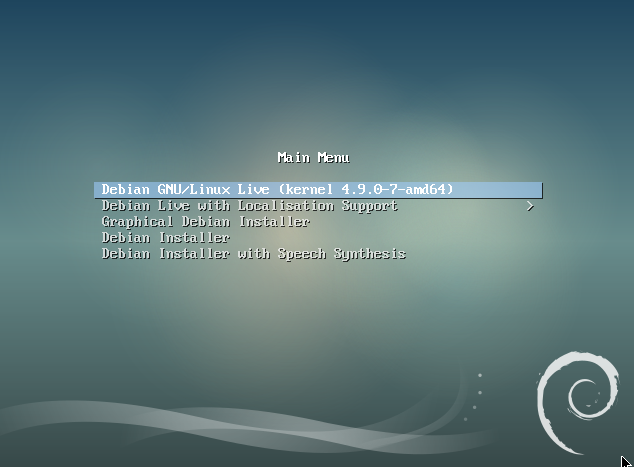 In contrast, a Debian Live includes a desktop environment living by default. What a PC and laptop (hence, desktop) users will like better is 'Debian Live' rather than 'Debian original'. That's why I start this article. 6. Where to Install Debian KDE? Debian Live can run on both PC and laptop. Fortunately, all editions are officially available for both 32-bit and 64-bit architectures. This availability is a really good thing for 32-bit users who found out the fact that many other desktop distros have been abandoned 32-bit. Take example Ubuntu, Manjaro, CentOS, KaOS, Antergos, and even PureOS; so Debian Live can be considered as a good alternative to them if you use 32-bit machines. 7. Can Debian Installed in Dualboot? Yes. You can install Debian alongside with Windows in one computer. See Dualboot wiki page. 8. Okay, Where to Download Debian KDE? It can be downloaded gratis at www.debian.org/CD/live. See the bottom-right section (the one without "BitTorrent"). For 64-bit computer: visit amd64 link. For 32-bit computer: visit i386 link. One the download page, scroll down. You will see many links. See the one with 'KDE' and ended with '.iso' on its filename. And it should be in some G (Gigabyte) on its size, not only some K (Kilobytes). Other way to get Debian is by purchasing a CD from online store, asking a copy from your friend, borrowing CD from your neighbor, or so. Debian is free software meaning the user is free, the user receives his/her rights over the software, not merely gratis. 9. How To Make Debian Installation Media? Installation media means CD or USB drive usable to install operating system into computer. After having the ISO image file, you "burn" (write) it into a CD or USB flash drive, and it will be an installation media of Debian. I strongly recommend you to use USB flash drive instead of CD as its cheaper and erasable. With this installation media you install or run LiveCD of Debian Live Edition. 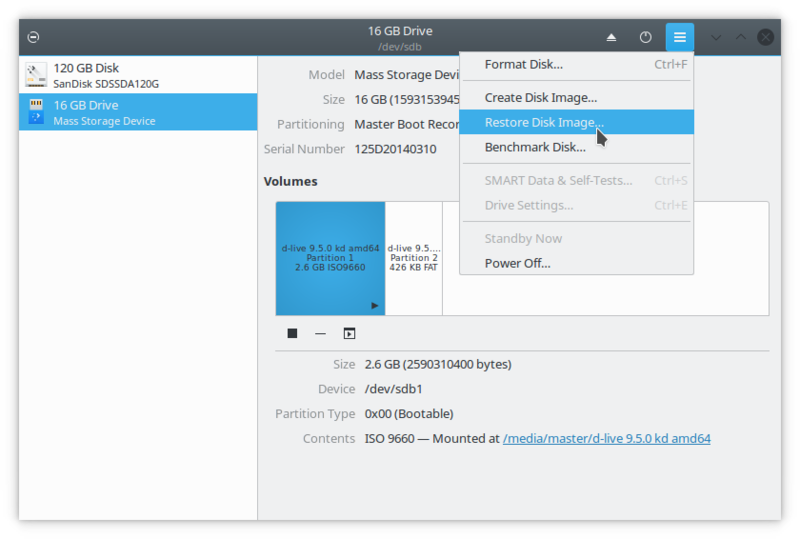 After making one, boot your computer with the USB drive and you should meet Debian KDE. Welcome! Follow detailed instructions here. Basically it's nothing different to installing Debian original. That's all for now. 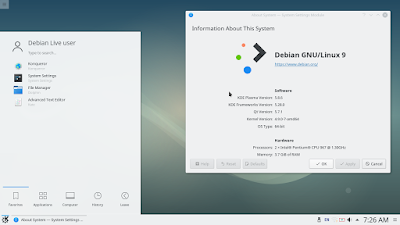 You got a basic knowledge about Debian KDE. The next part will talk about basic orientation of Debian KDE internals such as built-in applications, doing basic tasks, how to get new applications, and so on. See you next time. Have fun with Debian KDE!